Water Quality: How Clean is Your Water? If you’re like most people, the quality of your drinking water isn’t the first thing that comes to mind when considering your home improvement checklist. 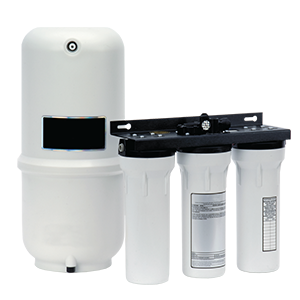 Water filters and water filtration systems are usually low-priority. There are many other things like appliances, countertops, or even those impulse buys at your local home improvement store. But take a moment to consider the last major natural disaster — what’s one of the first things victims require? Clean water. It’s arguably the most important elements for human survival. It’s unfortunate that most people don’t consider clean water a priority until its too late. For many people, this comes in the form of a boil water notification. It’s unfortunate, but by the time consumers are notified that their drinking water has been contaminated, it’s too late. Bacteria, such as giardia, can cause a range of health ailments with effects lasting for days or even weeks. In fact, according to USA today, nearly 63 million Americans are exposed to unsafe drinking water. So this begs the question… when it comes to the “clean water” you drink, are you taking a chance? Furthermore, is it really necessary for you to risk your health by drinking water that could potentially make you sick? When conducting our free water tests, most people are shocked to see what’s actually in their water; from dissolved solids to skin-damaging chlorine, we routinely find significant room for the improvement. Barium (2 mg/L) — this chemical can be a result of epoxy or sealant residue and can cause circulatory illness. Thallium (0.0005 mg/L) — this chemical is a result of electronics or pharmaceutical contaminants. Ingesting this chemical can result in kidney, liver, brain, or intestinal damage. Toluene (1 mg/L) — this is a byproduct of gasoline and can cause liver, kidney, nervous, and circulatory damage. Visit this link for a full list of EPA standards and drinking water tolerances. It’s important to note that an MCGL is the particular level at which a contaminant in drinking water is known to cause no human health problems. Another key number to understand is MCL; this is the maximum level of a contaminant allowed in drinking water before it’s deemed unsafe to drink. Wouldn’t it be nice to have peace of mind that every drop that comes out of your tap is completely treated and pure? With a whole-house water treatment system from Home Water Solutions, you can. By purchasing a water filtration system from Home Water Solutions, you can improve the taste of your water in addition to its overall safety. If you’re looking for a real clear water solution, give us a call to request your free water test. We’d love to help you understand what’s really in your water.